We've been hard at work! I'd like to share some of the latest features we've deployed to improve NPS email surveys in Simplesat. The beauty of these Simplesat email surveys is once you set it live, it's on autopilot forever. Gone are the days of importing/exporting contact lists into tools and configuring one-off survey campaigns. 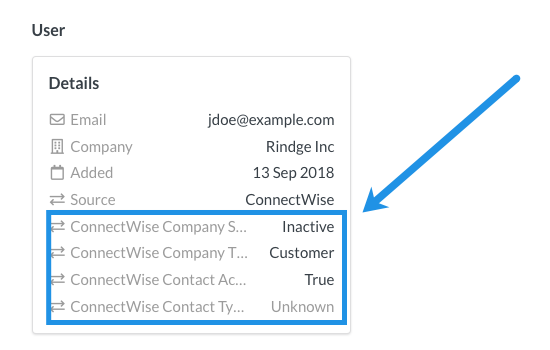 After you sync ConnectWise contacts, you can view each customer and their details. Just head over to the Customers page and search by name or email. These details are helpful when configuring your audience rules. 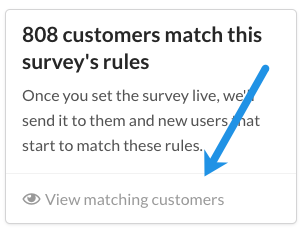 When creating your audience rules, you can preview the list size in real time. You can now also click the View matching customers link to preview a sample of 20 names in the list. Hover over the open and response rate numbers to see the actual number count. I'm super proud of this new survey type, and equally thankful for your feedback as a beta tester. Please let me know any and all feedback/issues/questions/comments you have. We're making history together, one survey at a time.